A book starring Detective Sugar Spotter has been written to warn families about the damage sugar does to teeth. An ideal gift for your waiting room and for your children, grandchildren, nieces and nephews. “Detective Sugar Spotter Healthy Choices” is designed as a bedtime story for parents to read to their children and highlights the joys of creative, healthy eating and preventing the scourge of early childhood caries. Family Teeth Matters is an Auckland charity that educates people about the damage sugar does to children's teeth. To date, 7600 children, parents and teachers have attended the Family Teeth Matters programme, which has been going for four years. Founder and dentist David Wallbridge said they dressed up as Detective Sugar Spotter in a monkey suit and had another character called the Truth Fairy. His wife and co-founder Cynthia Wallbridge, who's a dental hygienist, plays the part of the detective. It was run at some preschools and primary schools in Glen Innes and South Auckland, as well as at community days. There was a video presentation, along with a resource box with games and quizzes, activities and reading books. Parents and caregivers were encouraged to come along to the programme as much as possible. Wallbridge said childhood dental decay was "a choice they make because of the food and drink they put in the child's mouth". The programme was all about helping parents and caregivers make good choices. "If they manage the sugar correctly, they can eliminate that whole childhood decay problem," said Wallbridge. He said our society was "just awash with vast quantities of sugar" and said a lot of parents did not associate sugar with a lot of foods. "There are the classics like fizzy drinks and chocolate bars, but there are a huge number of items we routinely think are pretty benign, for example, tomato sauce has been sugared up by the manufacturer to make it palatable." The first tactic of the programme was to identify where the sugars were going in and the next was to group them into special occasion and everyday items. "The tragedy is special occasion items like fizzy drinks are becoming everyday items, which is where the problem lies," Wallbridge said. 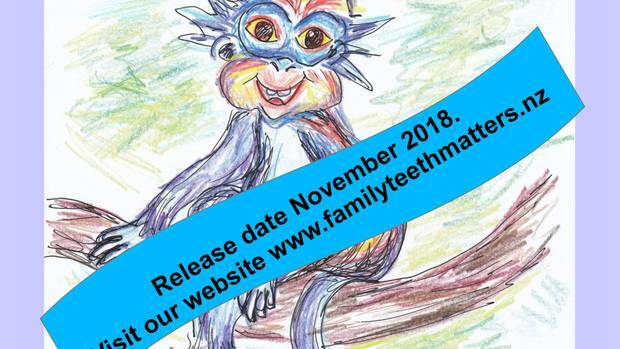 Family Health Matters was also planning to put out a children's book about the dangers of sugar for teeth in November but needed $30,000 more funding for it to be published.He said they would love to take the programme around the country but that would cost tens of thousands of dollars. Healthy Choices with Detective Sugar Spotter has been written and illustrated by psychologist Anne-Marie MacIntyre, who was also a trustee of the charity. Wallbridge described it as "a great little colourful story about a Ghanaian monkey and something parents would read with their children". The second half of the book tackled "a bit more of the nitty-gritty about helping parents and caregivers work out how much sugar is in the food and how to reroute that". It also looked at myth-busting about some of the beliefs that circulated around children's teeth. Wallbridge said everyone on board was a volunteer but the project still needed funding.